One of our favorite parts of the holiday season has to be picking out the perfect gift for each of our loved ones. They don’t always have to be grand gestures, but they have that person’s name written all over them. While some friends and family members are a breeze to shop for, there are the exceptions that make gift giving more like a treasure hunt. We often file secret Santa gifts under that label, especially since these presents are more generalized. In some instances, you may not even know your secret Santa personally. Since we’re in the midst of creating the ultimate gift guides for everyone on your list, we decided that adding a secret Santa roundup might be helpful too. 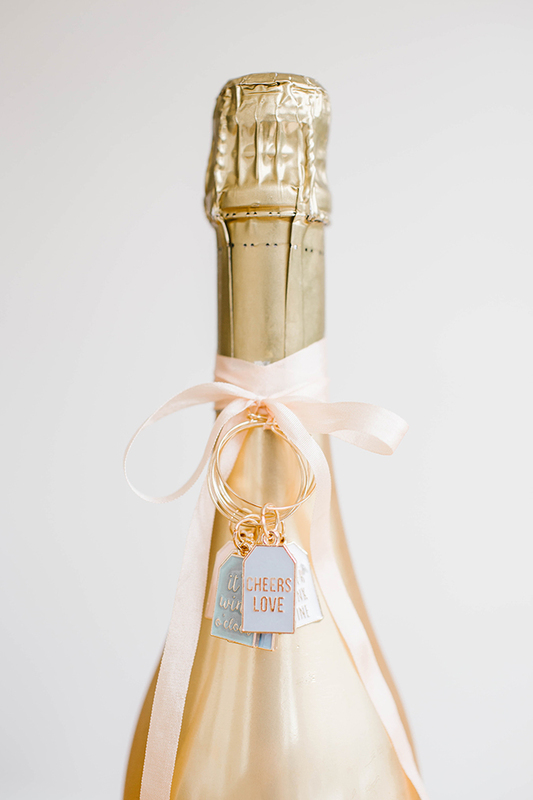 If your secret Santa loves to unwind with a glass of wine at the end of the day, these adorable LC Lauren Conrad wine charms are the perfect gift. Calling all charcuterie connoisseurs, this marble monogram cheese board from Anthropologie is too cute for words. Plus, it has marble and gold details. Need we say more? Help your secret Santa stay organized into the New Year with this super fun agenda from Ban.do. Your secret Santa can keep bathroom items, jewelry, or anything her heart desires in this handmade ceramic box from The Little Market. Home décor is way better when it has words of encouragement all over it, right? This one goes out to all of the boss babes out there. Dress your secret Santa’s tech with this gemstone-inspired iPhone case. So your secret Santa loves to break a sweat. Help her keep hydrated with our new favorite BKR water bottle. Candles are a foolproof gift in our opinion. Personalize a holiday candle for your secret Santa from The Little Market. We love the message board trend, especially this mini version from Urban Outfitters. Spell out a sweet sentiment and gift it to your secret Santa. Last but not least, help your secret Santa organize her favorite bits and baubles with this chic glass jewelry box from LC Lauren Conrad. Which one of these secret Santa gifts is your favorite?